Pico offers a complete range of advanced spectrometers and ancillary equipment for Airborne, Vehicle borne and Portable Spectrometry Surveys. Pico spectrometer system installations can be fully customized depending on the aircraft/vehicle type and survey requirements. Pico also provides extensive training programmes on all aspects of installation and geophysical surveys that can be tailored to individual requirements. Pico spectrometer’s cutting edge of technology coupled with software featuring advanced algorithms, and its user-friendly and rugged nature clearly makes in a LEADER in this segment. Pico provides spectrometer systems that can be installed on Helicopter or fixed-wing platform. Depending on the survey requirements and/or budget, the spectrometers can be used as a stand-alone unit or it can be combined with Data Acquisition system and other ancillaries to make it a complete survey system. 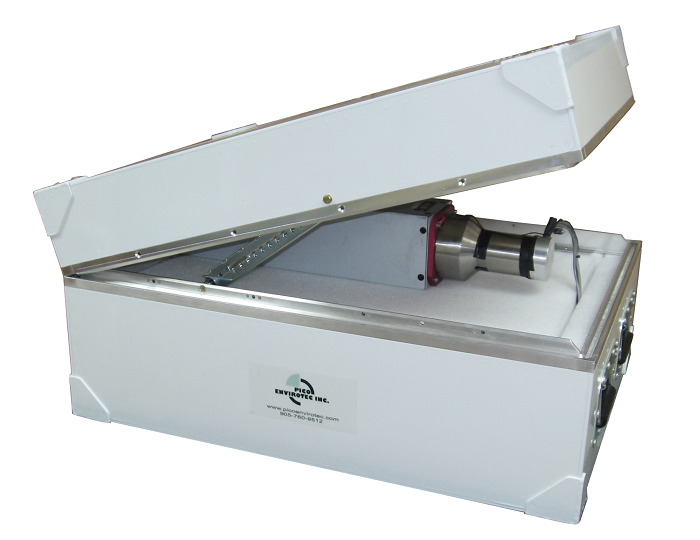 All AGRS Advanced Gamma Ray Spectrometers are self-contained and can be operated as stand-alone systems. AGRS comes with various NaI crystal configurations which provide flexibility to choose crystal volumes depending on speed, altitude and payload capacity of the aircraft. For example, one AGRS-4 or AGRS-5 box can be effectively used on helicopter platform, but more units arsuggested to be used for installation in Fixed-wing aircraft. Use of more crystals raises effective detector volume and detection surface that results in better statistics on higher survey speed; but it increases the weight of detection module. The AGRS-2 and AGRS-1 are available for lightweight solutions. AGRS spectrometers can also be combined with our IMPAC Data acquisition and navigation system, GPS, altimeters and other ancillaries, which makes it a complete survey system. Integrated Airborne Gamma-Ray Spectrometry system acquire and control data in real-time mode; synchronize internal data with GPS time, define location and survey area parameters; provide advanced survey navigation with operator and pilot control, including drape profile option; provides connection of additional or custom sensors. Airborne Gamma-Ray spectrometer can be also integrated with airborne magnetometer system and/or with helicopter towed Time-Domain EM (P-THEM). 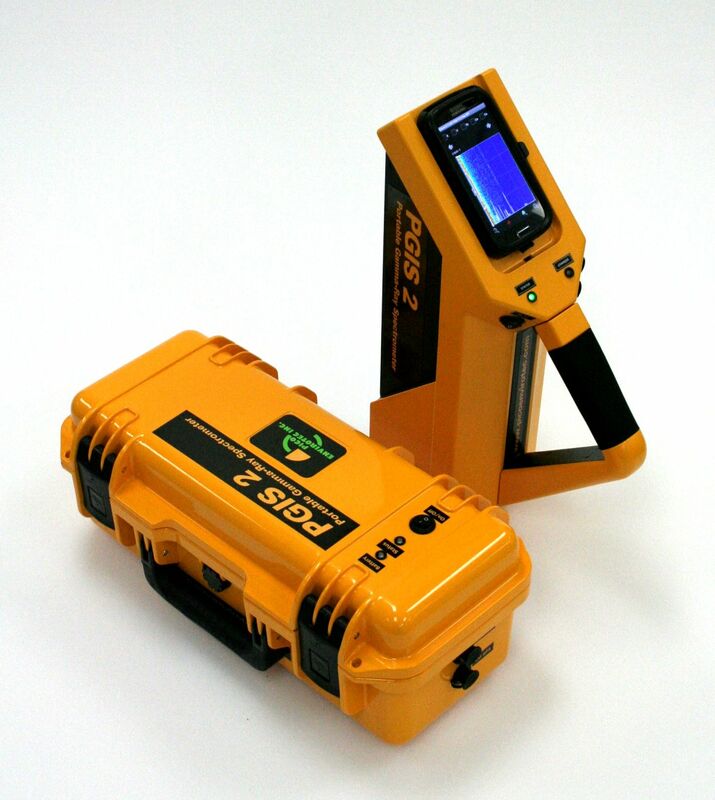 Pico Envirotec Inc offers portable and mobile instruments based on PGIS systems for ground surveys. The PGIS spectrometers are based on advanced microprocessor and mobile wireless technologies, which are equipped with high sensitivity built-in GPS sensor and has an ability to connect external GPS sensor. The wireless technologies and android based data acquisition system allow the detector unit to be as far as 15 meters away from operator with data logger. The data logger can be set on various portable devices such as smart-phones, tablets, or laptops. Real time 1 second spectra and additional calculated information is acquired in continues mode, which allows the PGIS instruments to be used in walking or driving mode. Depending on the survey scope the best fitting instrument can be used. PGIS-2 equipped with 0.347L NaI(Tl) scintillation crystal is relatively light and very convenient for walking survey. The detector module can be carried in hand or placed on the back-pack mount plate. PGIS-2-1 equipped with 1L NaI(Tl) detector or PGIS-2-2 equipped with 2L NaI(Tl) detector can be used for walking survey or installed on a vehicle such as quad-bike, cart, or a car. PGIS-2-4 equipped with 4L NaI(Tl) detector is aimed for motorized mobile surveys. This high sensitivity system can be easily set in a car or pick-up track.